Lifestyle Wardrobes delivers a seamless experience in providing custom storage solutions. We have the expertise to give any wardrobe a more modern look while enhancing its functionality. Our designs are all custom made and incorporate high quality materials for a durable finish. Because we recognise that storage requirements and style preferences vary for each individual. This allows for greater flexibility that is simply not possible with other providers. It means having a design that fits your exact specifications. Our solutions can be adapted to fit any requirement whether you have limited space or a specific style preference. The result is limitless storage possibilities so you can make the most out of any available space. Our products are available in the latest styles and finishes to easily organise your belongings. All components can easily be adjusted to exactly the way you want it from drawers to shelving units and more. Our experienced designers work closely with you to choose the right products for your storage needs. Every aspect can be configured accordingly. Contact us today for a free measure on our wardrobe solutions in Perth. Drawers are an easy solution to organise small items from jewellery to accessories and more. These can built in a wide variety of styles including modern and contemporary designs. These can be arranged in any configuration. Shelving units are made adjustable and can be combined with drawers for even more versatility. These units can add much more functionality to your wardrobe with different styles available to choose from. Adjustable shoe shelving units – with or without hinged mirror door(s) or as shelving under hanging – ¾ or full. Storage possibilities with shelving units are practically endless. Hanging rails are simply a must and make it easy to hang your clothes. These can be customised to the layout of your wardrobe. We use oval chrome plated steel rails which can be double, ¾ or full. View our gallery of our functional storage solutions. We carry an extensive selection of drawers, shelving, and hanging solutions that can be customised to any configuration. Our extensive experience means we have the expertise to transform your ideas into reality. The result is a highly personalised space that suits your storage needs. Individual designs are customised to your lifestyle and budget. 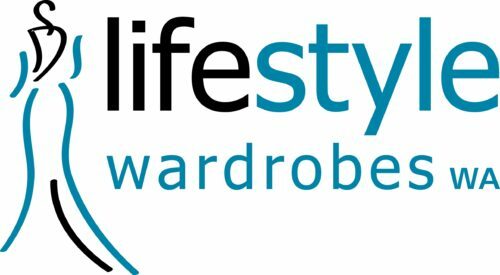 Lifestyle Wardrobes specialises in custom wardrobe storage solutions that are manufactured and installed to exact specifications. We offer a free measure and quote to help you choose the best options for your needs. We provide guidance at every step to ensure a seamless experience. Request a free measure and quote today or visit our showrooms to see our popular options.